New to WOM? Start here. "Anyone that doesn't agree with leggings as pants can physically fight me. And I'm going to win because I have a full range of motion due to the fact that I am wearing leggings as pants." can i help you find something? Happy 30th Birthday, Matthew and Thomas! They ain't so little anymore! I was just leaving a comment on facebook about when they were born, and I literally started crying! It seems like a million years ago, in a different lifetime, which it was. You girls were still little, John and Sandy were still married, we lived in Loveland...well, a lifetime ago. And what a lot of excitement they brought to everyone's lives! A very happy belated birthday to your brothers, Wendy. I try a lot of things. Sometimes they work, sometimes not. 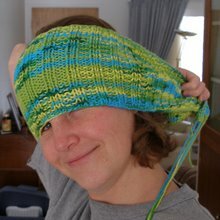 Take knitting as an example. I always say that I like knitting, but honestly, I think I just like the *idea* of knitting. This is a Flickr badge showing public photos from gwendygay. Make your own badge here. I'm a mom with 4 kids, only one of which I've grown from scratch. 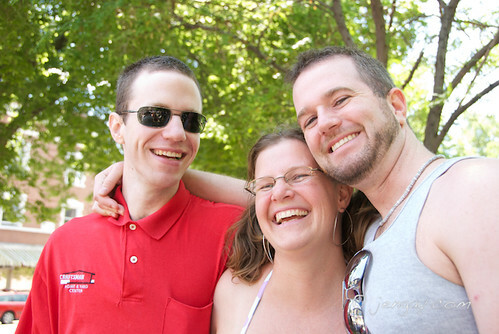 And as for my 3 stepkids, I'm incredibly lucky to have such wonderful people in my life. I've almost always got way too many projects going. But, if you want to know more than that, click here to see 8,452 completely random things about me... give or take. This site is for entertainment purposes only. Though she has many impressive talents, Wendy is not a professional and nothing on this site should be construed as professional advice. She is simply describing how she takes care of herself and her family. Please do not do anything on this site without first checking in with your physician, trainer, life coach, nutritionist, financial adviser or clergy (and most importantly, with your own sense of what is right for you).